The Neesam Classic Basketball Tournament honors Fredrick J. Neesam, a graduate of WSD and Gallaudet College who founded the Gallaudet basketball team and the Central Schools for the Deaf (CSSD) basketball tournament. Upon returning to WSD, Neesam introduced basketball to the school in 1906. 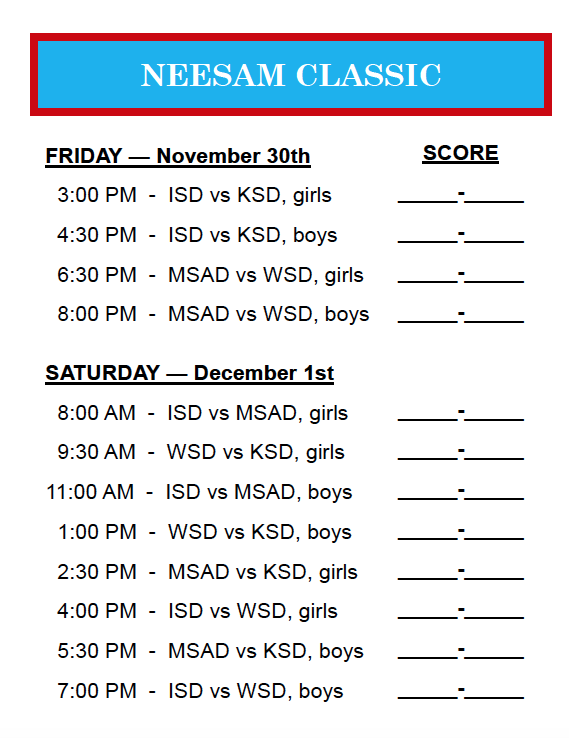 The Neesam Classic promotes sportsmanship along with a recognition of the athletic skills of the students who participate. Participating teams: Iowa School for the Deaf, Kansas School for the Deaf, Miinnesota School for the Deaf and Wisconsin School for the Deaf.